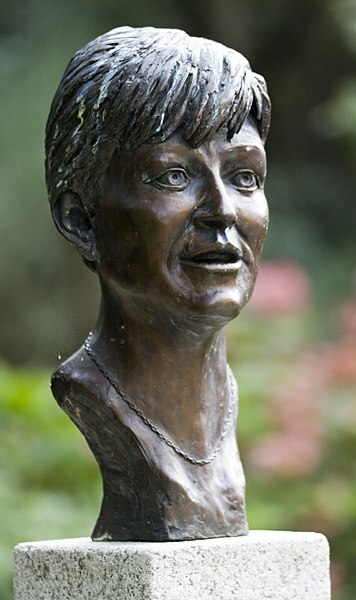 If you have seen the 2003 Irish film, Veronica Guerin, you are aware of the dangers journalists face operating within conflict zones. Two years ago I read what was to be Marie Colvin’s final tweet. She was one of very few western journalists in Homs, Syria during the February 2012 siege. She tweeted that night that she had seen a baby die that day. The next morning she, herself, was dead. She had lost an eye covering a conflict in Sri Lanka in 2001. This time she lost her life. 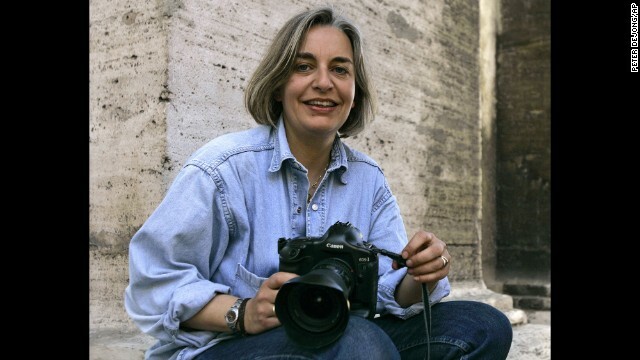 Only weeks ago, in Afghanistan, Associated Press reporters Kathy Gannon and Anja Niedringhaus, a Pulitzer Prize winning photographer were attacked. Gannon was wounded, Niedringhaus was killed. Today comes the sad news that yet another courageous young woman journalist has been murdered in the field. 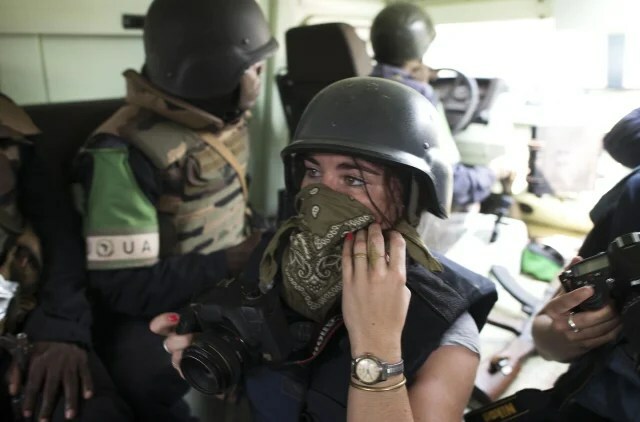 This time it is French photojournalist Camille Lepage who has been cut down while covering fighting in the Central African Republic. These women were passionate about what they did and worked without widespread renown, but their courage and dedication were boundless. We regret these losses, offer condolences to their loved ones, and celebrate them and all of their cohorts for their steadfast reporting in difficult and deadly locations and situations. Camille Lepage was only 26 years old. May she rest in peace. May they all. That includes David Bloom, who was not murdered but died valiantly covering war thoroughly and with great gusto while embedded in Iraq. Bless them all!. Canadians hosted hundreds of American air passengers whose planes were grounded on 9/11. They opened their hearts and their homes to us. During the Iranian hostage crisis of 1979-81, fearless Canadian diplomats in Tehran helped smuggle out of that maddened country endangered Americans. None of that seemed to matter this week. Not content with putting an end to America’s historic “special relationship” with Britain, nor with bullying the U.S.’ only reliable ally in the Mideast, Israel, the Obama administration has launched an attack on our Northern neighbor, Canada. Their unguided missile landed squarely on Parliament Hill in Ottawa. It was Hillary. What the heck is with the U.S. Secretary of State, Hillary Clinton? Meetings of the type she stormed out of are scheduled months in advance and a list of attendees is available to all. Well, yes Canada, we do remember all that as well as the hoards of young Americans who rushed to join the RCAF long before Pearl Harbor, and we do appreciate, although it is not mentioned, your harboring of young guys who fled to you when they objected to the war in Viet Nam. The fact that we are friends does not imply total agreement. That is a message we have been hearing consistently throughout the first year and a quarter of this administration, most recently in the wake of the stand-off on the continued building in East Jerusalem. For what it is worth, consistency and even-handedness appear to be an important stanchion in the building code of the Obama administration. All of the stakeholders shou ld have been represented. Anyway, I, personally, am still upset that you guys let the baby seal hunt commence on the day our SOS arrived. Now as for the “storming out” story. This is the first story I have encountered saying she stormed out. The story does not specify which meeting she “stormed out of” – I doubt it was G8 as the header implies. Sorry about that, guys. She tends to get impassioned – some of us actually LIKE that about her – voted for her because of that. If you do not find her fire for the disenfranchised particularly endearing, well, all I can say is that I am glad she is ours and not yours. We like it and are more than happy to keep her! I am not pro-abortion, but I am pro-choice and pro-planning. Hillary Clinton is not pro-abortion when unwanted pregnancy can be prevented. She is talking about access to preventive measures, primarily, and abortion as a last resort. Like some men in our own Congress, men in Canada would do well to hear her out on this. She is well-versed on this topic. Afghanistan? Her job is to try to keep you on board. I have never seen evidence that some of the 9/11 terrorists did NOT come through Canada. Nine of them lived eight blocks from me. Three (I believe) left Canada on flights to the U.S. If she was wrong about that, I want proof. Whatever! She looked as charming and diplomatic as ever to me. So what special friendships were wrecked? Hillary Clinton did not declare war on Canada! Update: Lawrence Cannon does not think any of this was a big deal, and agrees that the maternal health issues needs to be revisited by Canada. Many readers here will recognize the Phoenix logo to the left from 2008 when it became a symbol within the PUMA movement in the run-up to the Democratic National Convention. The slogan was “Rise, Hillary, Rise” and referred to the hopes of the PUMAs that a fair and transparent roll call on the convention floor would permit Hillary to prevail as the nominee. Things did not play out that way. When Barack Obama became the nominee, and Hillary campaigned for the Democratic ticket (as she had always said she would), many of her supporters fell away, became embittered, some attacked Hillary, and this blog was born in her defense. Now, in the run-up to President Obama’s (yes, folks, he is the President) speech on Afghanistan policy tomorrow night from West Point, this very interesting article pops up on a news feed, and I find it so very noteworthy for several reasons. In Can Hillary Clinton win the war in Afghanistan?, published by The Newark Examiner online, my new best friend (and Homeboy) Kyle Sennett refutes several of the toxic memes that we Homegirls have been battling over the months of Hillary Clinton’s service as Secretary of State. Perhaps the most persistent and infuriating was the marginalization meme. It also served as the umbrella for other spin-off memes. You remember that one. The story was that Hillary was being marginalized by the White House. The spin-offs were that she was powerless, was overshadowed by her special envoys (the ones she suggested to help her oversee critical regions), that she was unhappy (because she was powerless), that she was quitting State and running for Governor of New York, her old Senate seat, etc. You can find them all in the archives here. So now, at the zenith of speculation about what President Obama will lay out as an Afghanistan policy tomorrow night (or tonight, depending on when you read this) among the many predictions, some perhaps based on leaks, but nary a single word from Hillary who refused flat out to speak on the issue, Sennett posts his own reasoned argument regarding the issue and Secretary Clinton’s role in it. In doing so, he carefully dismantles the toxic memes, argues as to how she has been a major player all along on the AF-Pak issues and policies, and proposes that this is her vehicle. That Obama is handing Af-Pak to her to manuveur. Secretary Clinton is at the forefront of the effort, and all signs point to the idea that she, and the Obama administration, are approaching it with an open mind. Sennett provides an excellent review of events leading up to the formation of this policy and of Secretary Clinton’s involvement. You can, and should, read his whole article here. You didn’t think for a minute that I would post this without a picture of the Head Homegirl, now, did you? Oh! 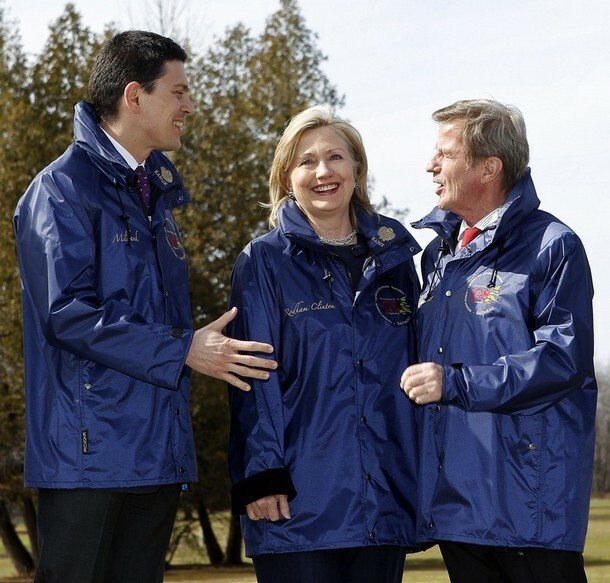 And in case Kyle and I have not made it perfectly clear: Hillary was never down. She has always been, and continues to be, rising, and rising, and rising. 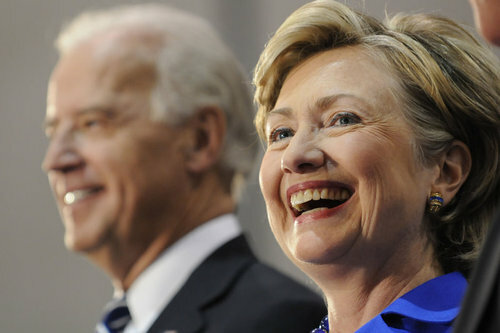 Since it has become certain that tomorrow morning, Hillary will appear with Obama in Chicago for his announcement of his National Security team, that she will be nominated for Secretary of State, and that she will accept, there has been some wild speculation about the new relationship between Hillary and Joe Biden. Here are some things we know about Joe: He has long experience as Chair of the Senate Foreign Relations Committee. Based on that, he has been expected to have a strong voice on those issues in the Obama administration, and since Hillary’s name came up, there have been hints that territorial conflicts between the two might ensue. We also know that the Bidens and the Clintons are personal friends, share family ties to Scanton, PA where the photo above was taken, and that Joe loves Hillary (it’s OK, Jill knows about it). This morning, this disturbing editorial by Nicholas D. Kristof appeared in the NY Times. I am inserting the entire piece since there is no single paragraph or section that is more or less compelling than any other part. Terrorism in this part of the world usually means bombs exploding or hotels burning, as the latest horrific scenes from Mumbai attest. Yet alongside the brutal public terrorism that fills the television screens, there is an equally cruel form of terrorism that gets almost no attention and thrives as a result: flinging acid on a woman’s face to leave her hideously deformed. Here in Pakistan, I’ve been investigating such acid attacks, which are commonly used to terrorize and subjugate women and girls in a swath of Asia from Afghanistan through Cambodia (men are almost never attacked with acid). Because women usually don’t matter in this part of the world, their attackers are rarely prosecuted and acid sales are usually not controlled. It’s a kind of terrorism that becomes accepted as part of the background noise in the region. When I met Naeema Azar, a Pakistani woman who had once been an attractive, self-confident real estate agent, she was wearing a black cloak that enveloped her head and face. Then she removed the covering, and I flinched. Acid had burned away her left ear and most of her right ear. It had blinded her and burned away her eyelids and most of her face, leaving just bone. Six skin grafts with flesh from her leg have helped, but she still cannot close her eyes or her mouth; she will not eat in front of others because it is too humiliating to have food slip out as she chews. Ms. Azar had earned a good income and was supporting her three small children when she decided to divorce her husband, Azar Jamsheed, a fruit seller who rarely brought money home. He agreed to end the (arranged) marriage because he had his eye on another woman. After the divorce was final, Mr. Jamsheed came to say goodbye to the children, and then pulled out a bottle and poured acid on his wife’s face, according to her account and that of their son. Ms. Azar has survived on the charity of friends and with support from Ms. Bukhari’s group, the Progressive Women’s Association (www.pwaisbd.org). Ms. Bukhari is raising money for a lawyer to push the police to prosecute Mr. Jamsheed, and to pay for eye surgery that — with a skilled surgeon — might be able to restore sight to one eye. Bangladesh has imposed controls on acid sales to curb such attacks, but otherwise it is fairly easy in Asia to walk into a shop and buy sulfuric or hydrochloric acid suitable for destroying a human face. For the last two years, Senators Joe Biden and Richard Lugar have co-sponsored an International Violence Against Women Act, which would adopt a range of measures to spotlight such brutality and nudge foreign governments to pay heed to it. Let’s hope that with Mr. Biden’s new influence the bill will pass in the next Congress. That might help end the silence and culture of impunity surrounding this kind of terrorism. We here at Homegirl Security have long known of Hillary’s interest in addressing such abuses. It is only fair to credit the woman she is replacing, Condi Rice, with strong efforts in this area as well. Knowing Hillary’s long history on women’s and children’s issues, many of us have anticipated the coming nomination with a certain amount of regret at losing her strong, clear voice in the Senate. But this regret has been tempered with the confidence and trust we have in her abilities to address these issues at an international level as we saw her do in 1996 in Beijing. And while we know that these are not the only issues she would have dealt with in the Senate or will at State, an ambivalence remains. She will certainly be a star at State just as she was and would have continued to be in the Senate. It was heartening, therefore, to find this article by Kristof this morning. It attests that others in the Senate have their eyes on these issues at the international level and inspires hope that the same is true at the domestic level. Of course we are also losing Joe Biden to the new administration, but it is clear that it is not women alone fighting this battle. And the bill is there, even though Joe is going. So those of us who follow Hillary’s Senate dispatches will have to switch to another feed from her. I have no doubt she will remain as informative as ever. As for Joe, I am sure he will be as supportive as ever of Hillary’s efforts. 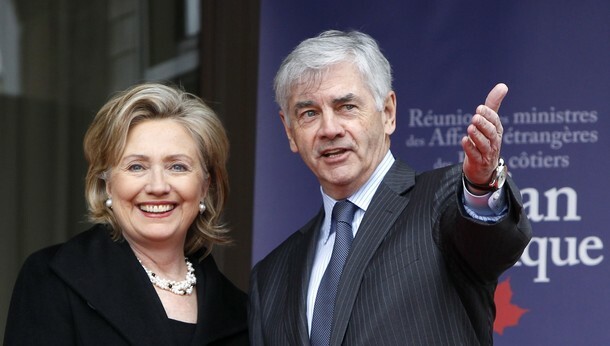 I should mention as well that Richard Lugar was on this morning with George Stephanopoulos and intends to support Hillary’s nomination at State. (OK you can be cynical and say LOTS of Senators want her out of the Senate and at State, right now I prefer to have a little hope and faith). So as we wish Hillary and Joe Godspeed in their new missions, and mourn the loss of our NY Turbo-Senator, we can also rejoice that these voices will have gravity in the formation of foreign policy in the next administration. Thanks, Joe, and Richard, for standing up for women, and thanks, Hillary, for being our hero, role model, and sister.